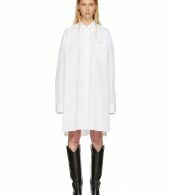 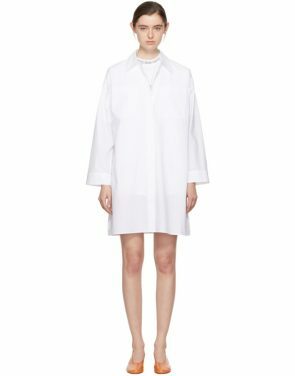 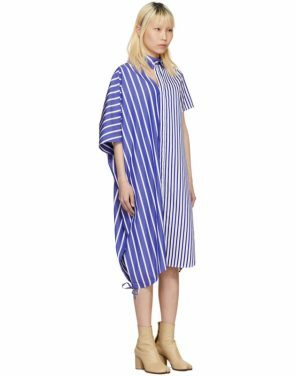 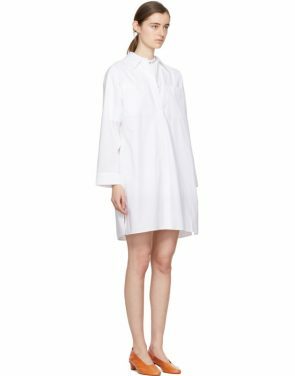 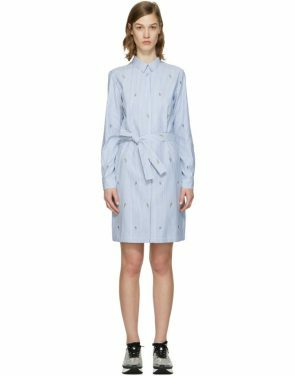 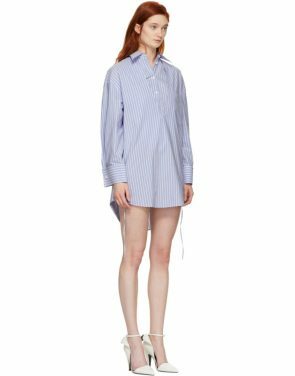 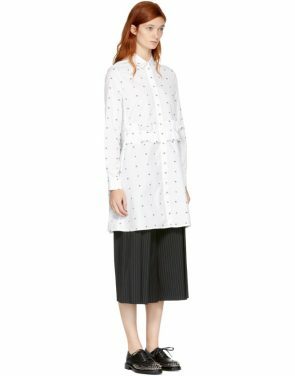 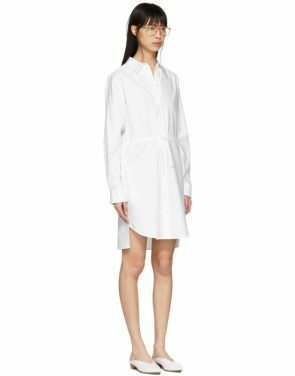 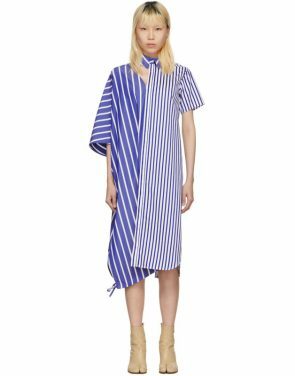 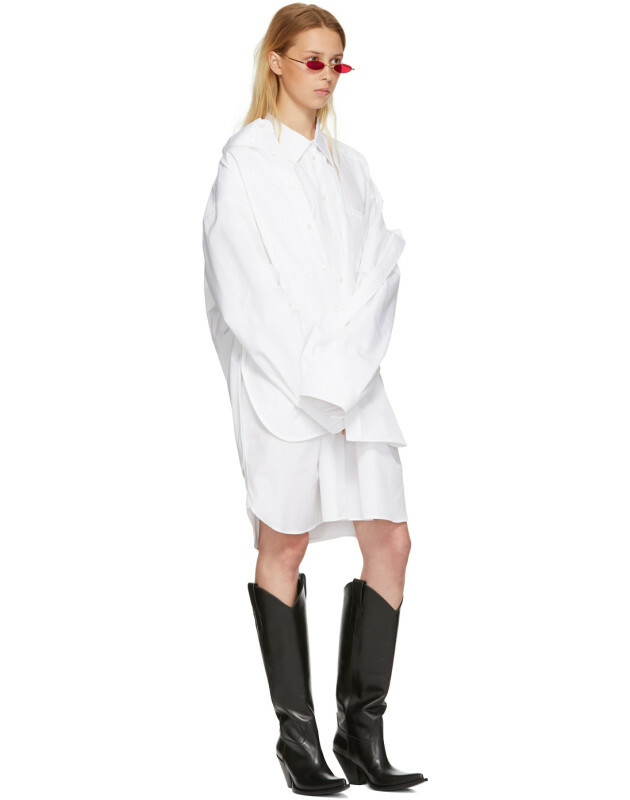 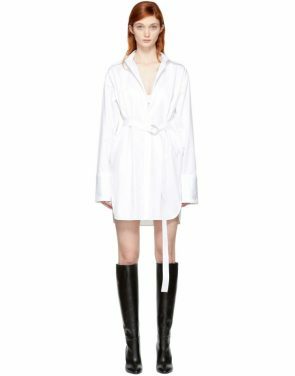 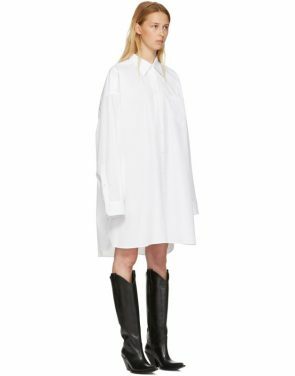 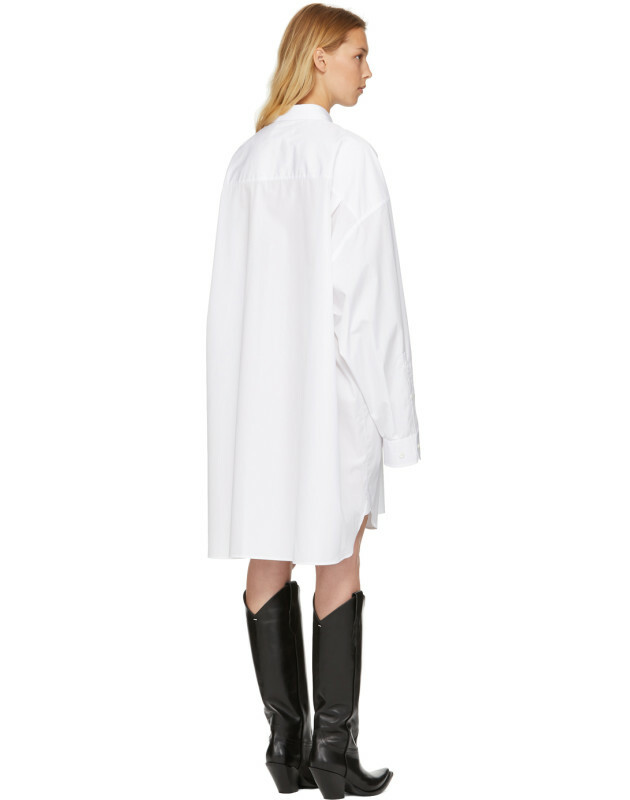 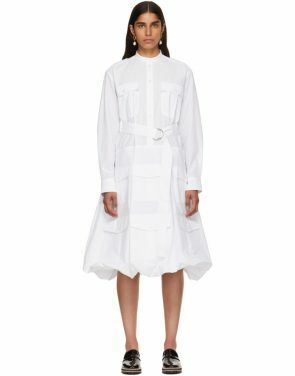 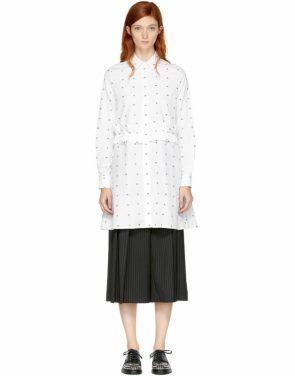 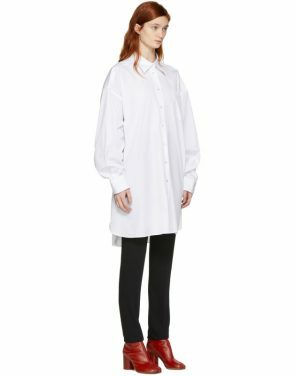 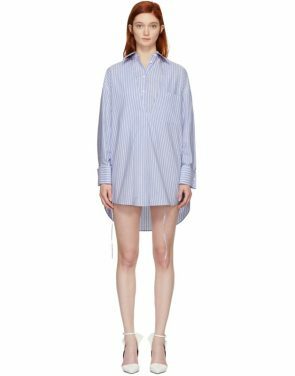 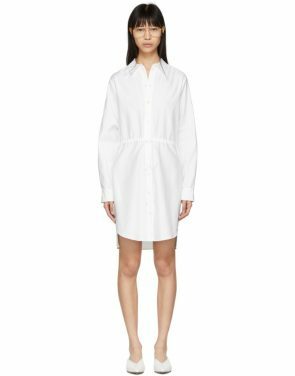 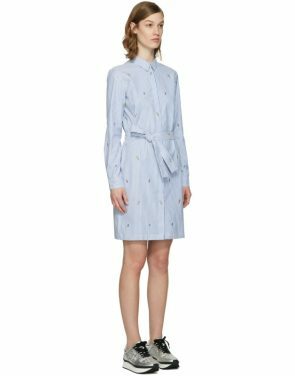 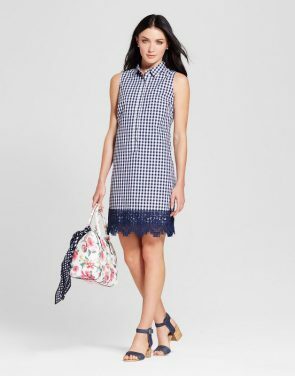 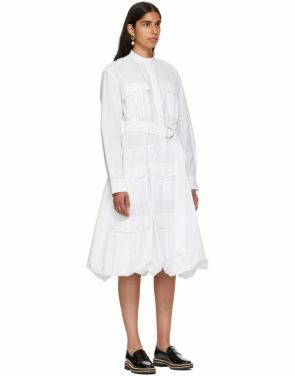 Long sleeve cotton poplin dress in white. 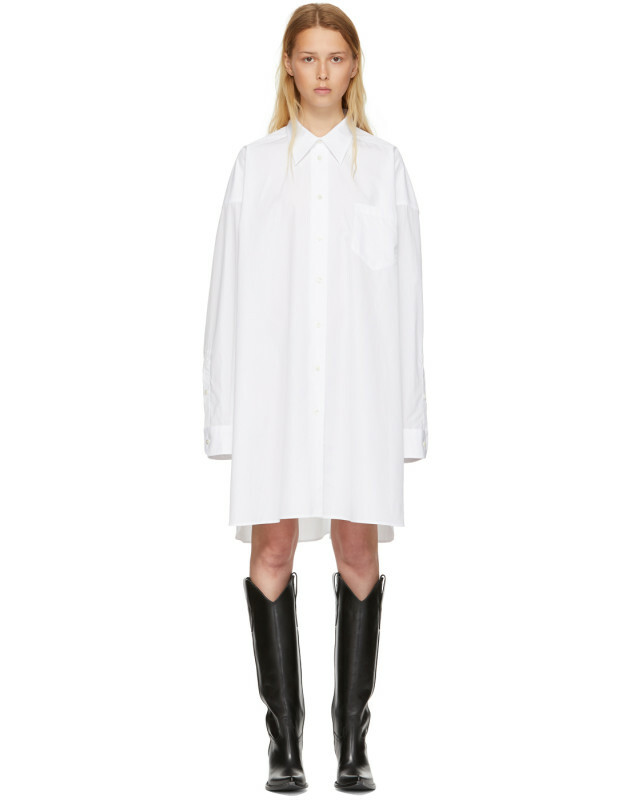 Spread collar. 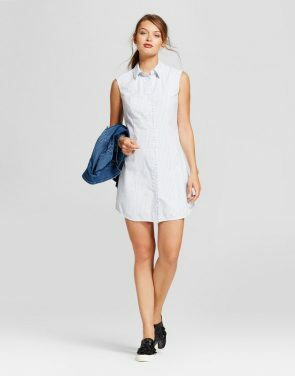 Button closure at front. 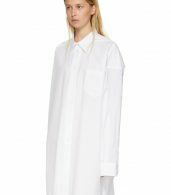 Patch pocket at bust. 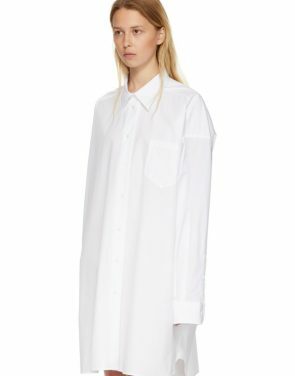 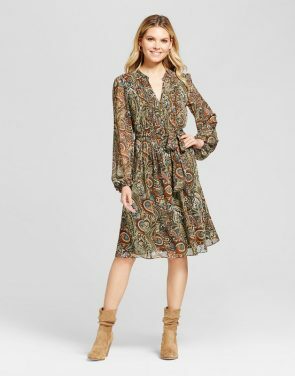 Single-button barrel cuffs. 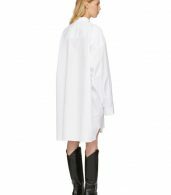 Signature white stitch detailing at back yoke. Tonal stitching.